The Clean Energy Council’s (CEC) Clean Energy Australia 2010 report was released a short time ago and states that more rooftop solar panels were installed in Australia between January and October this year than for the entire decade previous. Over 100,000 solar power systems were installed in Australia during 2010 compared to just over 81,000 for the period 2000 to 2009. More home solar power systems were installed and commissioned during each month between January and October 2010 than the sum total of every other calendar year in the history of the Australian solar industry. Rooftop solar panels on homes throughout Australia now total 301 megawatts capacity. Increased affordability of solar power systems in Australia is seeing the technology rapidly becoming “the Hills Hoist of the 21st century” said Matthew Warren, the chief executive of the Clean Energy Council. 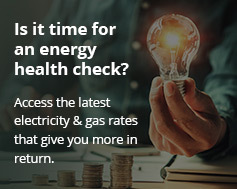 Looming electricity price rises and the reduction of the Solar Credits rebate next year may also contribute to a new rush on systems in early 2011 according to national solar power solutions provider Energy Matters. The Clean Energy Council report states in terms of renewable energy overall, 8.67 per cent of Australia’s electricity was generated by sources such as solar power and wind energy in the last year, a total of 21,751 gigawatt hours and the equivalent of the electricity requirements for over three million Australian households. A total of 209 megawatts of large scale clean energy generation was brought online between January and October this year. Given the massive growth, Australia looks well-positioned to achieve its Renewable Energy Target of 20% by 2020. 55,000 jobs are expected to be created in the renewable energy sector by 2020, many in regional areas. The Clean Energy Australia 2010 report can be downloaded here (PDF).